14 must-have projects plus our round-up of the best indie patterns out there. The team behind Mollie Makes brings you 132 pages of ideas for sewing your own collection of dresses, skirts, jackets and accessories. With a focus on independent designers we showcase the very best in up-to-date dressmaking patterns. Plus we take a peek behind the scenes into the lives of our favourite sewists. Be the first person to tell us what you think about Mollie Makes Sewing and you'll save $5 on your next purchase! 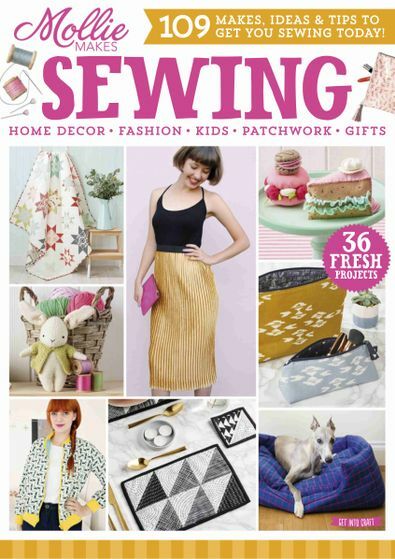 https://www.isubscribe.com.au/mollie-makes-sewing-digital-subscription-37112.cfm 37112 Mollie Makes Sewing https://www.isubscribe.com.au/images/covers/au/5254/37112/square/MollieMakesSewing111201804254.jpg AUD InStock /Digital/Crafts & Hobbies/Textiles 14 must-have projects plus our round-up of the best indie patterns out there.